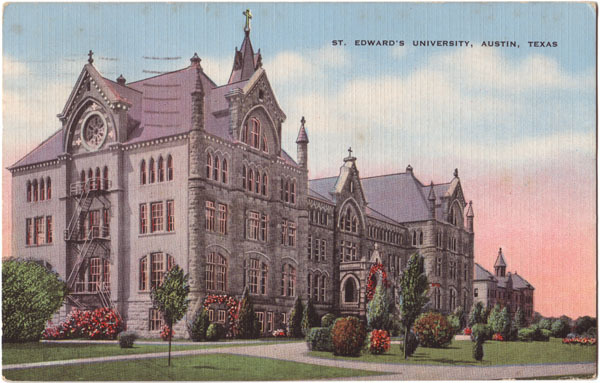 Text on Back: St. Edward's University, first chartered in 1885. A first class senior college. A beautiful campus of 600 acres. Excellent view of the Capitol, by day and night. Operated by Congregation of Holy Cross.